Turkish Delight: Istanbul is pure discovery. A chic new hotel, romantic palaces, jewels, and bazaars offer an insight into a culture and make Istanbul a magical excursion. Follow me for a stylish new hotel discovery—and shopping tips from trend-setting designer Madeline Weinrib. I recently went to Istanbul for a rather spontaneous and brilliant and brief visit. 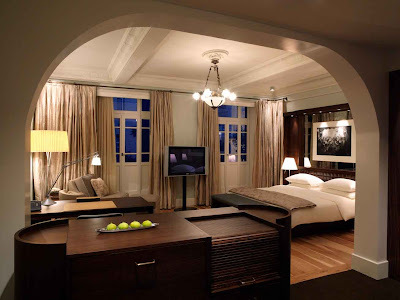 My best decision, after diligent research, was to stay at the stylish new hotel, Park Hyatt Macka Palace. 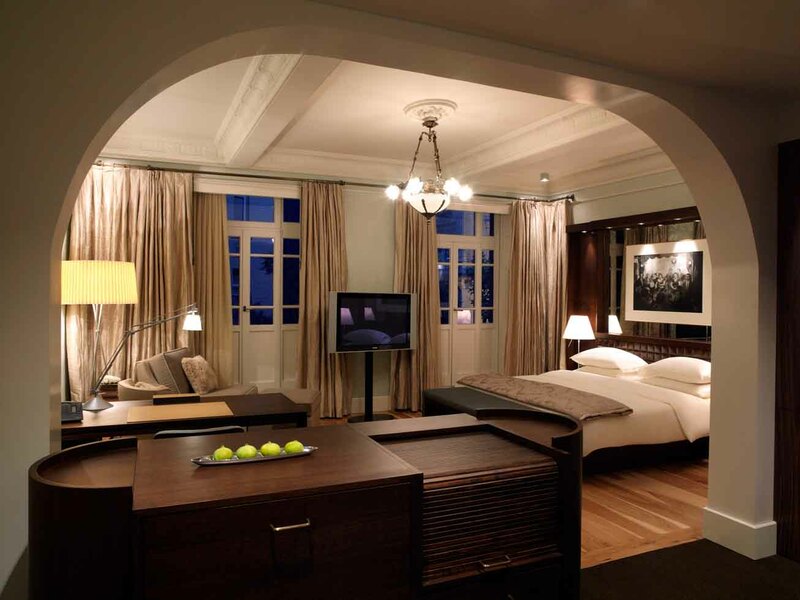 I chose it because it’s in a stylish section of the city—and the new hotel was created inside the shell of a former royal palace. There’s history and grandeur to this hotel—but it’s executed with a masterful modern architectural approach. Best of all—it’s very worldly in feeling, while honoring its Turkish heritage and handsome palace architecture. 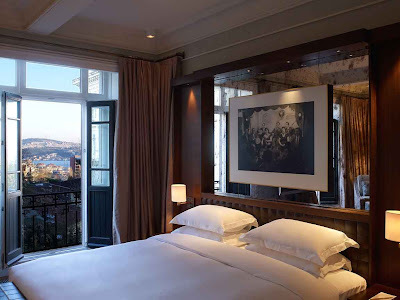 Architecture and interior design for the Park Hyatt Macka Palace in Istanbul was by Gerner Kronick + Valcarcel, a multi-cultural design firm that had been working in Turkey’s largest city for many years and understood the significance of the strategically placed historic site. I loved the Park Hyatt Macka Palace because it is located in an elegant neighborhood with style shops, cafes, and a lovely park nearby. It's also ten or fifteen minutes by car to historic sites like the Aghia Sophia, Topkapi Palace, the famous cistern, and the Grand Bazaar. 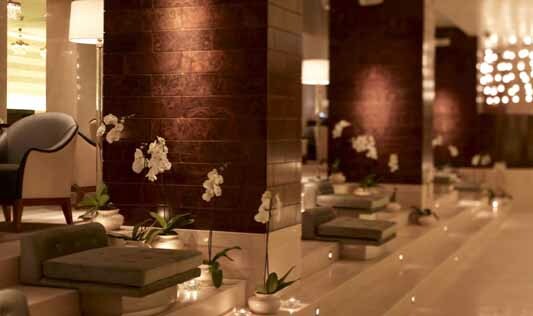 The hotel’s location, Nisantasi, is sometimes described as SoHo-esque, but I’d say that with Cartier and Gucci and Hermes boutiques it is more like Rodeo Drive, Turkish style. I prefer to stay at a hotel where I can walk out the front door and be in the middle of an interesting section of town. That’s my ideal. Creating the new luxury hotel began with an authentic restoration of the neoclassical Macka Palace, built at the turn of the 20th century, and inserting a new lobby, restaurants and bars all with a modernist simplicity. The design philosophy was to maintain the building’s interaction with the neighborhood, and to add facilities that are very up-to-date. 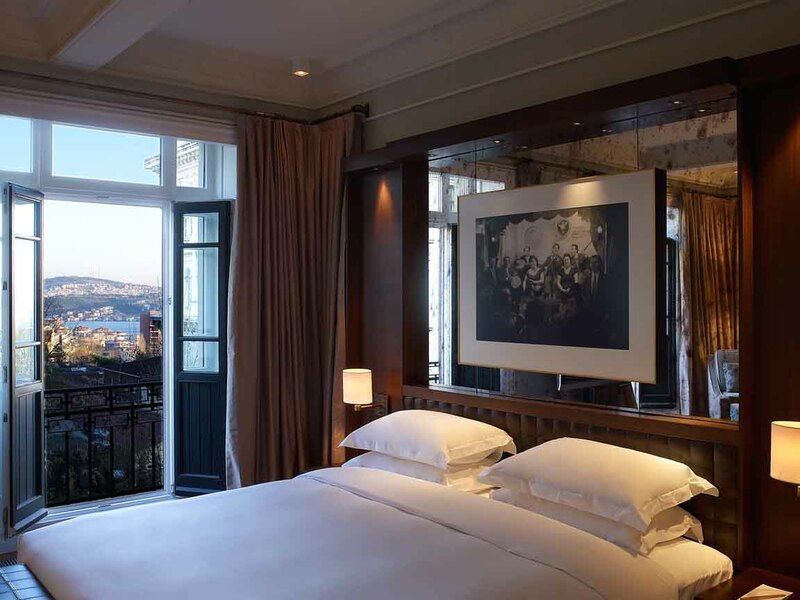 From hotel windows and balconies, guests can view significant landmarks along the Bosphorus. I loved that. At night, Istanbul is magical, with towers and minarets and palaces all lit up poetically in the misty Bosphorus atmosphere. Guests enter through a discreet side entrance, and are whisked through the lobby and into the historic Macka Palace, where escalators zip up to the ninety large guestrooms. 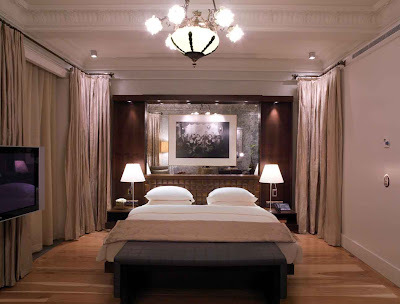 The designers have given the rooms an updated neoclassical style inspired by a certain Istanbul taste. Light fixtures are all reproductions of fixtures found in the original building. The ceiling above the bed features extremely detailed carvings. One of my jet-setting friends choose the Macka Palace for its cosmopolitan bathrooms. They are superbly designed. A curved-glass enclosed wet room, nearly 250 square feet, the bathrooms are so detailed that I hardly set foot in the hotel’s spa. 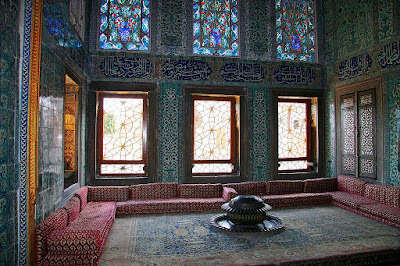 In Istanbul, East meets West, so several different cultures are present in the bathing room. 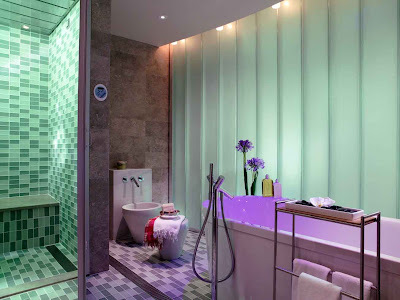 I love the hammam (Turkish bath) tradition, and in this sybaritic bathroom there are also a splash tub, a rain shower, light color therapy, a steam shower, as well as the traditional Turkish bath. The bathing experience is designed so that guests can recover from long-distance travel, rest, refresh, soothe the nerves, and enjoyTurkish bathing culture. I arranged for a masseuse to come to the suite for a private treatment, post-bathing. Delicious. I loved the discretion and quietness of the Macka Palace. 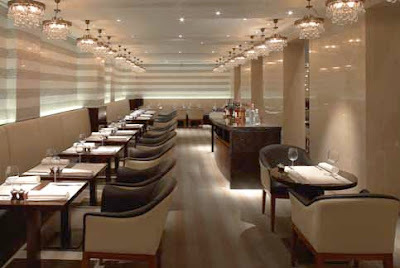 It has the perfect combination of tradition and modernity. 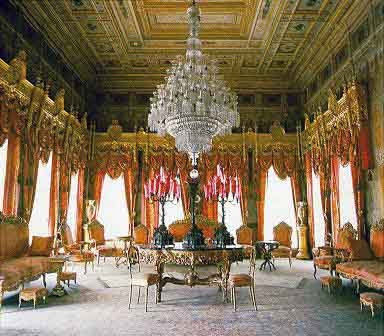 When I set off to visit friends, or to cross the Bosphorus for a very special dinner, or to take a private tour of the Dolmabahce Palace, the diligent and thoughtful assistance of concierges and guest relations staff arranged a driver. They checked on opening times of Topkapi Palace, advised on restaurants, even found a special private recital of Sufi dancers. The hotel staff is surprisingly cosmopolitan. I met a Tibetan manager who had trained in Switzerland, a chic French concierge, a Turkish receptionist, and my masseuse was Swedish. 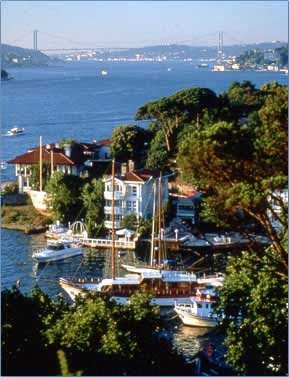 One concierge recommended a special private tour by vintage yacht along the Bosphorus. I wanted to re-visit the yalis, the quirky and romantic historic summerhouses suspended over the water. 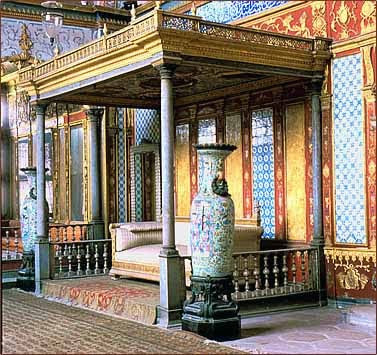 They also double-checked that the Topkapi Palace private harem (with superb Iznik wall tiles) and the Topkapi jewel rooms would be open for a private visit. 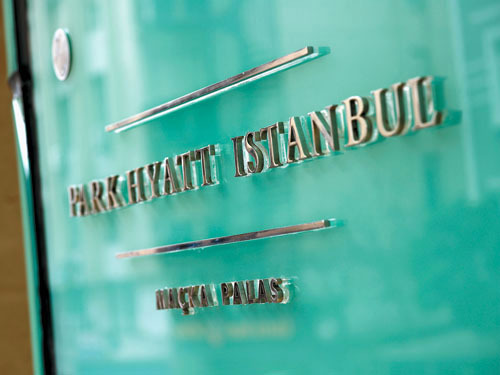 Park Hyatt Macka Palace hotel: Highest recommendation. Tesvikiye Bronz Sokak No. 4, Macka Palas, Istanbul, Turkey. www.istanbul.park.hyatt.com. I always recommend getting travel tips from friends. Consider jet-setter friends your trusted experts and advisors. Before I headed to Istanbul, I asked my dear friend, New York-based Madeline Weinrib, for her shopping tips. Check THE STYLE SALONISTE archive for my earlier feature on Madeline in Jaipur. She's an international shopping expert. Here is Madeline’s fabulous list. Print it, load it into your iPad, and keep it in a precious travel file, ready for your next trip to Turkey. I commented in a Paris feature recently that in Paris I was more passionate about only-in-Paris experiences that buying things. In Paris I want to keep shopping (except for Clignancourt and Drouot) to a minimum. In Istanbul, however, going to the Grand Bazaar, meeting the rug dealers and antique experts, and sitting down for a sip of mint tea with jewelers and craftspeople—is an essential and exciting aspect of life in Istanbul. 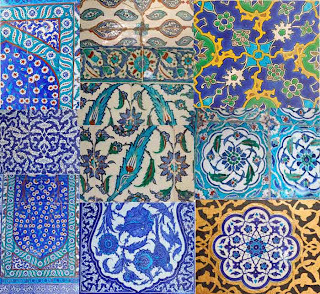 I love meeting designers and artists, sitting in their studios, and seeking out textiles specialists and Turkish taste-setters. Trend-setting Madeline Weinrib, the great textiles and rug designer, travels often to Turkey for research and inspiration. She loves taking time to meet rug dealers and artists and fashion designers face to face, and always buys pieces for her personal collections. After dozens of visits, she knows all the best galleries and shops. Madeline creates glorious rugs and textiles, and her much-admired studio (madelineweinrib.com) is located on the top floor of ABC Carpet & Home the grand Manhattan emporium of all things design and style. Curkurcuma is a beautiful neighborhood for walking. It’s also filled with great shops. I especially love Dodo Antiques (Cukurcuma Faik Pasa Yokusu No 12/A; 90-212-292-84-49), where you can still find a bargain, and Samdan Antiques, as well as Serif Ozkilic for pillows and slightly kitschy portraits of sultans. Sofa Art & Antiques, just outside the Grand Bazaar, is usually the first store I visit. It is beautifully curated, with a mix of antiques and contemporary art and objects. 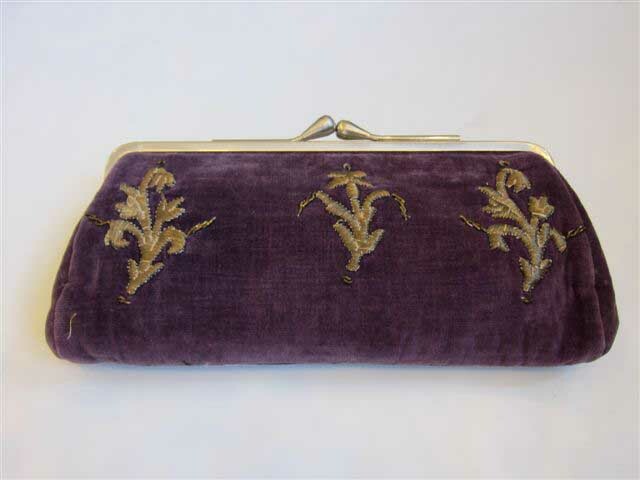 Antiquing can be tough in Istanbul because of the good fakes on the market; at Sofa you are buying the real deal. NuruOsmaniye Caddesi No.85; (90) 212-520-28-50; www.kashifsofa.com. I check out Dervis for luxe bath accessories like the vintage copper hammam dishes and huge, plush towels.” Keseciler Caddesi No. 33-35; (90) 212-514-45-25; www.dervis.com. I flip over the ceramics at Iznik Classics. Colorful dishes are everywhere in Istanbul, but it’s very, very hard to find ones like these that are lead-free and have such beautiful painting. The new designs are based on old patterns and are expensive. Ic Bedesten Serif Aga Sokak No. 18/21; (90) 212-520-25-68; www.iznikclassics.com. I like Gerson Souvenir for antiques, miniatures, books, old icons, and carpets.” Cevahir Bedesten, Serif Aga Sokak No.115. ; (90) 212-527-79-17. If you love old Ottoman textiles, you have to visit the Topkapi Palace. It has the most amazing collection. If that whets your appetite, go to Doktor Antik to buy very beautiful, very old—and very expensive—Ottoman textiles, suzanis, and caftans.” Cevahir Bedesten, Serif Aga Sokak No.9-10 11-12; (90) 212-522-75-49. Visit the Spice Bazaar for little gifts like rose water, dried figs, saffron, and organic Turkish apricots. I always bring back caviar from Istanbul. The trick is to use cold packs that chill perishables for 24 hours. Carmi Medani Sokak, Eminou. Mehmet Cetinkaya Gallery in Sultanahmet is the place to buy old suzanis in perfect condition—with high prices that reflect the rare quality. I have one that’s so old and worn that only the edges are left; it looks like an abstract color-field painting.” Kuckayasofya Caddesi, Tayukhane Sokak No.7; (90) 212-517-68-08; www.cetinkayagallery.com. Visit Karavanart in Sultanahmet. 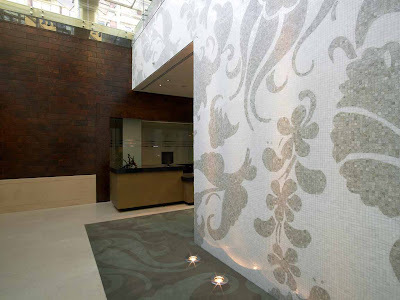 For primitive carpets with a modern look, my pick is Karavanart. Binbirdirek Mahallesi, Ucler Sokak No. 9/1. 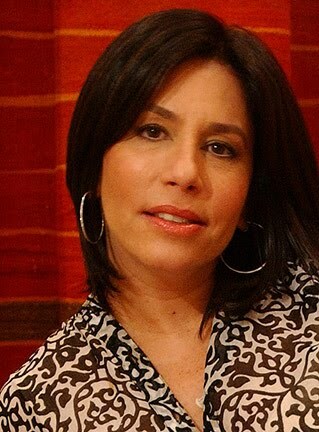 Gonul Paksoy is a Turkish icon. She collects antique Anatolian textiles and Ottoman embroidery and stitches them into clothes and carries a fabulous selection of cookbooks, as well as antique Ottoman towels that she hand-dyes. She has two stores in Tesvikiye, across the street from each other—one for clothes, one for accessories. Aytiye Sokak No. 6A; (90) 212-261-90-81. For contemporary fashion inspired by old Turkish garments, I love Art Butik in Tesvikiye. I’ve bought caftans and Ottoman-style pants there. 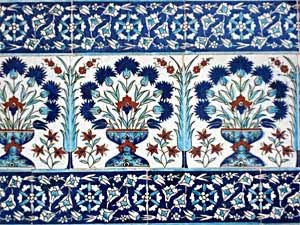 The pieces are modern interpretations of ancient styles.” Ihlamur Yolu, Nur Apt. No. 5; (90) 212-225-94-56. 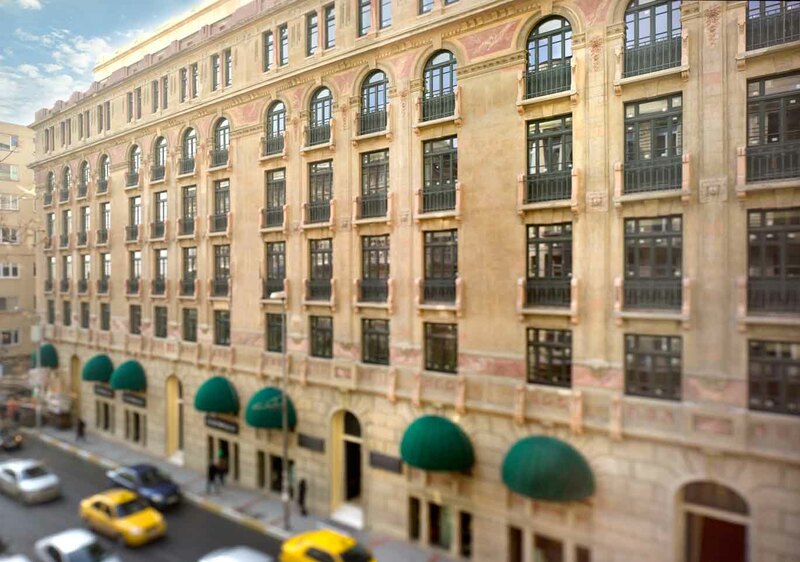 All the locals shop at Beymen, a luxury department store in Nisantasi. The company recently opened a home spin-off nearby, which carries all the best Turkish brands, like Gaia & Gino and Vakko.” Abdi Ipekci Caddesi No.23/1; www.beymen.com.tr. Örge Tulga’s necklaces and brooches are a beautiful mix of ancient and modern inspirations. Some of her work is also for sale at Sofa Art & Antiques. Sultanahmet; Nuruosmaniye Caddesi, Alibaba Turbesi Sokak, Feyzullah Han No. 21/22; (90) 212-519-51-75; www.orgetulga.com. Sevan Bicakci: This shop has exquisite jewelry worn by the most elegant women in Istanbul - in Grand Bazaar. Molla Fenari Mah. 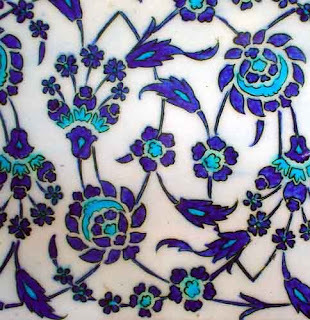 Beautiful apparel and accessories made from antique Ottoman textiles. Just opposite this studio, she sells one-of-a-kind ethnic-inspired jewelry pieces, as well as richly detailed. necklaces designed from old beads. Atiye Butik No.6, Tesvikiye. Yael Mesulam Manzakoglu studied at Parsons in New York before returning to Istanbul and launching EV+, a collection of beautiful linens. Her work is quite refined, including delicate linen nightgowns and terry cloth towels with embroidery based on ancient Iznik tiles. You will not find these anywhere else in the world. The boutique is located in Nisantasi. Ihlamur Yolu, Albayrak Apt. No. 9/3; (90) 212-232-17-58. Cocoon. The owner, Sheref, has a fabulous eye for antique textiles. : 0090(212)6383330 and 0090(212)5180338. www.cocoontr.com. Tulu, a home accessories store, has beautiful bedding designed by ex-pat Elizabeth Hewitt. You can also find a wonderful selection of vintage Uzbekistan dishes; the best I’ve seen. A La Turca: I visit this place for home accessories. Original, contemporary and fresh eye. Images of Madeline Weinrib collection, courtesy Madeline Weinrib Atelier, www.madelineweinrib.com. I will be in Istanbul next month so this post could not have been better....thank you Diane, xv. This is perfect. Without a really good list such as this one, it is very hard to find the right places. Madeline has selected a range of stores and galleries and people--from old-style in the bazaar, to newer ones. You will find your dream shop. Another beautiful presentation Diane, I have spent many years in and around the Middle East while working based in the Gulf as a designer and Istanbul is the designers tool box... ancient history and culture converge dramatically. As a devotee of Orientalism, I am encouraged to present more from my files of Ottoman Treasures. Thank you. On my list of places to go. They have a great tango scene there, and Alberto & I would love to teach some workshops there. Wonderful comprehensive post that I will book mark for sure. you had everything portrayed in such a lovely way...like taking a tour live. I'm ecxited you mentioned Gonul Paksoy, she's one of my favourite textile designers......she does exquisite and rare things. I guess you have read her book - From collection to creation, which is so hard to find. Thanks for a very inspiring post! I must travel to Istanbul-my little shoes are just dancing to go! Without a doubt I adore all of your post. Dear Friends--Looks like everyone's 'little shoes are dancing' as Peggy said...to get to Istanbul. It is such an original and mind-altering location, and each time it offers up something amazing and thrilling. Thrilling is the key. Dear Heather--thank you, it is always such a pleasure to hear from you in Phuket! You are right that Istanbul is so rich in detail and history and wonderful people. You would need years to get to know it all. Hello, Joe--welcome to blogland. Your new blog looks great. TONY BOURDAIN! Yes, that Roman tribute program was brilliantly done, especially as he bears a good resemblance to Mastroianni! I saw it on the travel channel...and his shows are generally informative, provocative (intentionally) and inspiring. My favorite recently was a show on Sardinia (his wife's family is from there) and his wife and young child were with him (the soft side of AB) and he was vulnerable and endearing...and the food cooked by his mother-in-law and family was most memorable. Very original. Dearest VV: Ah, well...of course, TANGO! It is everywhere. My biggest surprise, tango-wise, though was that it is HUGE in Finland, and there are major tango clubs there. Imagine in the cold cold Finnish winter--to be clutching your dearest one and tango-ing through the night. 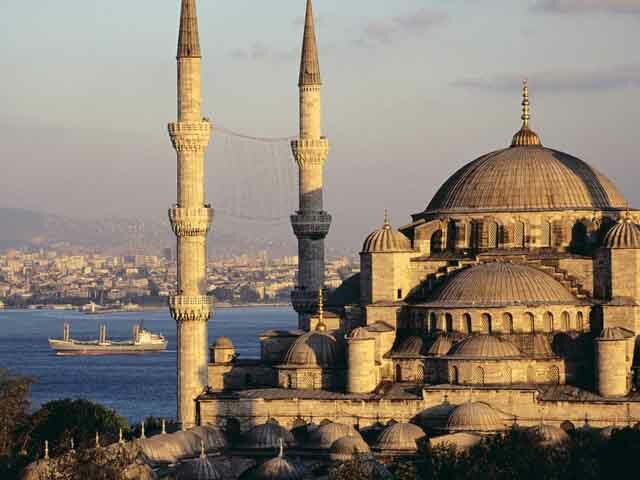 Turkey: Sufi dancing, tango...Istanbul has it all. Wow.Lovely to hear from you. Ingela-Hello. Thanks for your great comment...and I will see if I can find that book. Istanbul is always and always a discovery and I am always surprised at every turn. Just walking through the bazaar...stopping here for an emerald ring, there for a rug, here for a beautiful aqua necklace. 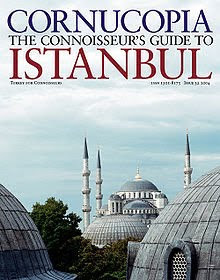 Madeline's tips are especially useful--as it is really hard to find good stores in the maze and geography of Istanbul. Lovely to hear from you. Peggy, Dear--you are so lovely to send such a wonderful note. Thank you so much for enthusiasm and cheer and joyful messages. Love it. I have been to Istanbul and other places in Turkey a few times in the past and I have great memories of my trips, you brought them to life again with your vivid dexscriptions. I know Istanbul has retained its superb beauty and its complex history roots but also that has become in recent years a vibrant cultural centre. I will certainly return there with Madeline's List. Love this post, Diane. And the Park Hyatts. Thanks for all the shopping advice too, this is so much better than stumbling around with a guide who only takes you to places he gets paid to take you. HI ALBAROSA- Lovely to hear from you. Yes, you are right that Istanbul is now a very lively cross-cultural center. Sotheby's recently opened an office there--which reflects the market's interest in art and antiques of the region. To note: the Turkish economy is booming (construction in particular) and I see such growth in the region. Most fascinating. But the old Istanbul can still be found. Hi Splenderosa--Yes, you are right that it is hard to find these treasures unless you have an expert to head you in the right direction. I so appreciate Madeline's insight and special focus on design, antiques, home decor and textiles and jewels...all the things we love. I can't want to hear back from friends who follow her trail. Many friends of mine are going to be in Istanbul in the next few months. Fortunate! The last time I was in Istanbul I was a mere babe of 21 and had no idea what to do with the Grand Bazaar...far too overwhelming! And I would never have known of a nightclub with yacht parking...but now after reading this I feel I simply must must must go back now that I am older and oh so much more sophisticated...and with more disposable income to buy some of those fabulous rugs and textiles! What a pleasant surprise to read your latest post! I'm leaving for Istanbul in September and happened to have booked at the Park Hyatt. What a wonderful coincidence. I knew that it would be a trip of a lifetime and now I'm even more excited! I'm definitely taking Madeline's List with me. I cannot wait. I have been dying to visit Istanbul, and thanks to your great post I have even more incentive to go, plus fab shopping sources. Macka Palace seems the place to be. 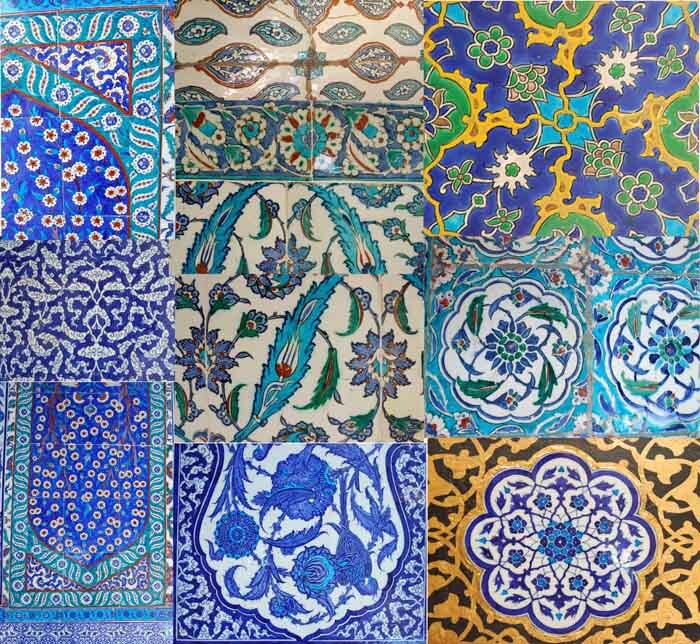 Great post!..I'm a graphic designer but I just started a travel blog of my own and stumbled upon yours while searching for Turkish textiles and prints. Your blog is a wealth of information! It's great to see others who share the same love of travel and design. Hopefully, mine will grow as well as yours has...I'll make sure to check back here regularly now! When a friend told me that she's going to Istanbul, I immediately sent her to your wonderful blog for the best information about to shop, eat, stay, etc. You have the most reliable information out there. Thank you!